The Winter Solstice feels like what I want to celebrate this year. Retreat and symbolic rebirth badly needed. Fondest greetings, warmest thanks and my best wishes to all who read here and all whose online words and pictures delight me, feed me, keep me company. I walk about the common with my imaginary medieval friend. "The ponds are so shallow. Why are they nearly dried out?" he says, amazed at the state of the grass. "What's happened to all the cowslips and buttercups - and the hay rattle flowers? Where are the clouds of butterflies that used to rise up before the scythe? "It's so quiet. Where are the voices of the children stone-picking in the fields, where is the birdsong, where are the grasshoppers?" Sauvignon blanc, National Gallery Cafe. the clear but muted, appropriately painterly light. Wake from sporadic, uneasy sleep to darkness, and a longer stretch of dark, bitter days than there has been for years - the weather in London and in me, mutually reinforcing. Yesterday I saw for the first time in some months a friend I am particularly fond of. This year has been a journey beyond all hope of much human contact, into a cold and broken place of relentless work and loneliness. But still there can suddenly be this searing awareness of a loved person's particularity: the curve of face and body, animated by the curve of just that mind-set. Shocking. Better, perhaps - easier, certainly - if this too would leave. But that really would be as good as death. Lest this sound too dramatic, it was, of course, the thought of a moment only - a moment of smiles and chat, at that - in the midst of a day of ordinariness. Ah, the quality of the ordinariness is the killer, not the moment's pain. The days will grow longer again. "...to all those writers with whom—or sometimes against whom—I have lived. To the Africans: Wole Soyinka, Chinua Achebe, Ahmadou Kourouma, Mongo Beti, to Alan Paton's Cry the Beloved Country, to Thomas Mofolo's Chaka. To the great Mauritian author Malcolm de Chazal, who wrote, among other things, Judas. To the Hindi-language Mauritian novelist Abhimanyu Unnuth, for Lal passina (Sweating Blood) to the Urdu novelist Qurratulain Hyder for her epic novel Ag ka Darya (River of Fire). To the defiant Danyèl Waro of La Réunion, for his maloya songs; to the Kanak poetess Déwé Gorodey, who defied the colonial powers all the way to prison; to the rebellious Abdourahman Waberi. To Juan Rulfo and Pedro Paramo, and his short stories El llano en llamas, and the simple and tragic photographs he took of rural Mexico. To John Reed for Insurgent Mexico; to Jean Meyer who was the spokesman for Aurelio Acevedo and the Cristeros insurgents of central Mexico. To Luis González, author of Pueblo en vilo. To John Nichols, who wrote about the bitter land of The Milagro Beanfield War; to Henry Roth, my neighbour on New York Street in Albuquerque, New Mexico, for Call it Sleep. To Jean-Paul Sartre, for the tears contained in his play Morts sans sépulture. To Wilfred Owen, the poet who died on the banks of the Marne in 1914. To J.D. Salinger, because he succeeded in putting us in the shoes of a young fourteen-year-old boy named Holden Caulfield. To the writers of the first nations in America – Sherman Alexie the Sioux, Scott Momaday the Navajo for The Names. To Rita Mestokosho, an Innu poet from Mingan, Quebec, who lends her voice to trees and animals. To José Maria Arguedas, Octavio Paz, Miguel Angel Asturias. To the poets of the oases of Oualata and Chinguetti. For their great imagination, to Alphonse Allais and Raymond Queneau. To Georges Perec for Quel petit vélo à guidon chromé au fond de la cour? To the West Indian authors Edouard Glissant and Patrick Chamoiseau, to René Depestre from Haiti, to André Schwartz-Bart for Le Dernier des justes. To the Mexican poet Homero Aridjis who allows us to imagine the life of a leatherback turtle, and who evokes the rivers flowing orange with Monarch butterflies along the streets of his village, Contepec. To Vénus Koury Ghata who speaks of Lebanon as of a tragic, invincible lover. To Khalil Gibran. To Rimbaud. To Emile Nelligan. 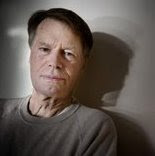 To Réjean Ducharme, for life." In his Nobel Prize Acceptance Speech, 7 December 2008, Jean-Marie Gustave Le Clézio thanks the writers who have influenced him. Just a bit of catching up for most of us to do there! A terrific lecture, as were Doris Lessing's and Orhan Pamuk's before him. Not really expecting to like it and certainly not to warm to it. Mega glossy celebrity stuff, bah! However stunningly talented, bah! No postcards here. No photos on the exhibition leaflet, not even tiny ones, not even written-across. Bah! There was nonetheless the thought that an opportunity to see a whole lot of the work of a great photographer should not be passed up. Well, it wasn't quite like that. Not so easy. The huge, flashy, overwhelmingly perfect works are interspersed with photos of her family and friends: small, powerful pictures of love and death. Holding, responding to the two modes simultaneously was a complex and troubling experience. The two poles, perhaps, of what photography can be, or convince you that it is: personal and mechanical, distilled reality and pure artifice. They can cancel each other out, but here were both so blatantly present that they didn't, just existed in powerful contradiction. I was both compelled and repelled, both pleasured and sickened, and on the whole came away feeling less negative about the photographer, more interested, and pretty impressed really by what could inspire such a strong and complicated response. it's the other way around, the music that's the metaphor. Pity anyone who lives or works in my vicinity and doesn't share my taste in music, as I tend to play a newly discovered piece or artist over and over obsessively. 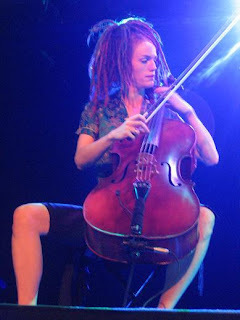 Recently, since a friend linked to her, it's been avant-garde cellist Zoe Keating. Is it cello music I love best, more even than choral? Maybe not quite, because I can't split listening to any choral music from the memory of first seriously listening with Jean-Marie, on his very good hi-fi with the enormous speakers (bigger was better in the 1970s, ever-so-many 'watts': say it with a French accent, like 'ouate', which is French for cotton-wool). I remember always how my silly young heart would soar with the voices, soar with how much I adored him, how his eyes would close and his mouth change shape and his pale, sinewy hands move just a little, watching him escape into the music, having no idea, bless me, what it was that this witty, attractive man with his lovely parents, his lovely wife and children, his satisfying career, might want to escape from, but sensing something deep and fundamental. Being musically not very knowledgeable and, sadly, rather tone deaf (but also a bit synaesthesic, I think), my appreciation of music is always that subjective, that much attached to personal narrative, always blurred, or if focused then narrowly so - thence, perhaps, the tendency to obsessiveness. So I couldn't tell you how I love Fauré's Requiem without mentioning Jean-Marie. But while I could tell you with equal emotion, for example, that I love Simone de Beauvoir because her many, big, fat books filled my lonely, neurasthenic evenings living in Ambert, I could also give you several other, specific, informed, nuanced reasons why I love them. Simple, blurry love and complex, illuminated love: I wouldn't say one was better, just different. We have so many big, old trees around where I live. Native species that used to fringe and hedge the large farms that covered this area until in the mid nineteenth century it became more lucrative to sell off the land to the builders throwing up the sprawling red-brick Victorian suburbs. And lush plantings of both native trees and exotica in the two large public parks that are also our legacy from Victorian planners. Thanks to those municipal park designers and to Dulwich College, which has vast land holdings and has kept of lot of them green (though in other ways they are a less benign landlord, keeping out useful, ordinary shops and services by their extortionate rents), the trees shelter us on all sides from city filth and ugliness, a blessed counterweight (though, squinting up, up, up through the viewfinder, one of these days I'm going to overbalance). Wood s Lot linked to my photos. Here's what Struan Gray, of Twiglog, said about Mark Woods' wonderful blog, and his feelings when Mark recently linked to him. I couldn't possible say it better. Wood s Lot is special because it bucks the seemingly universal trend towards ever more simplified and edited sources of information. 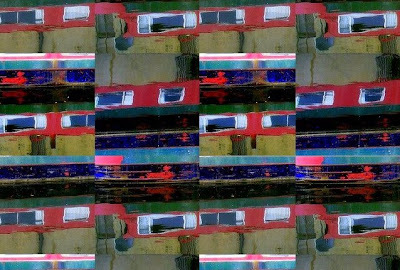 Although it is cunningly disguised as a collation of fragmentary links and severed chunks, the blog as a whole presents a consistent and coherent engagement with art, literature, politics and the world of thought... So when Wood s Lot picked up on my... post, I felt rather like a small child seeing the Presidential cavalcade stop, and the great man getting out of his limo to congratulate me on my flag waving skills. It makes me very happy that quite a few people liked my 'under' photos, below, and they actually inspired two poems, Bill's in the Comments below and Dave's on his own blog! This means a lot to me especially because I took them when feeling pretty wretched. The effort to be attentive, it seems, is never lost. As long as you keep looking around and trying to express something, there is an accumulated quality of attention that may creep up and surprise you, creep up from somewhere way deeper than the currently prevailing mood. and the visible world is all that remains."